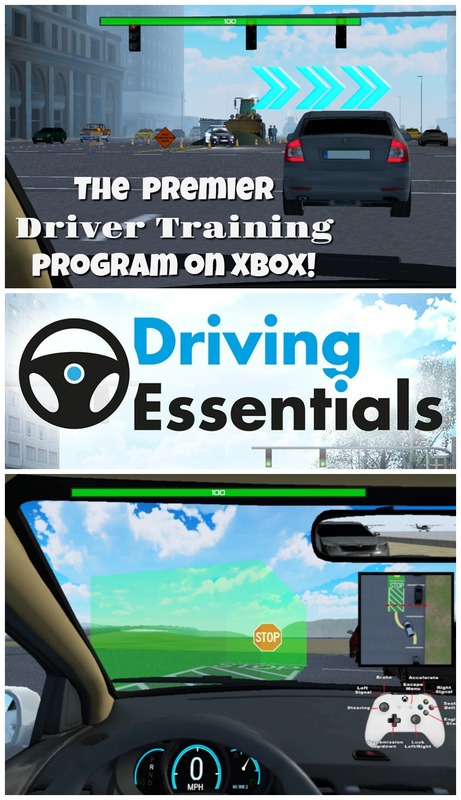 Driving Essentials XE, The Perfect Driver Training Program for Your Teen on Xbox! Driving Essentials trains your teen for those scary driving moments that you can’t practice in real life! They can practice and learn from the safety of your home on the Xbox! Did you know that sixteen year-olds are three times more likely to be in traffic accidents than other groups AND six teens ,ages 16 to 19, die every day from motor vehicle injuries? Those facts are scary, especially if you’re a parent of a teen learning to drive. My son just recently started driving and he was scared to death of crashing. We started off slow, he only wanted to drive in an empty parking lot the first 3 times. Now, after he has gained confidence and experience, thanks to Driving Essentials XE, he is driving on most major roads and even parking with precision! When he takes his driver’s test and gets his license, I will be able to trust his judgement, thanks to what he’s learned on Driving Essentials. It’s true- if they drive better, we sleep better! Driving Essentials, the premier driver training program, is available on Xbox now. This is not a game, but a real driver training program which, until now, was only offered on larger simulator systems. Driving Essentials XE offers a complete training program for novice and newly licensed drivers. 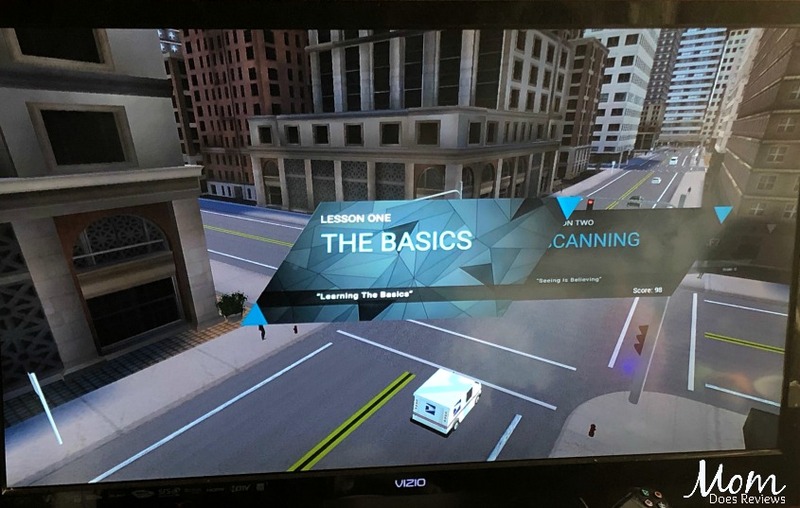 A virtual driving instructor will take a new driver through a complete curriculum, starting with basic driving skills through more advanced and dangerous situations such as distracted driving. 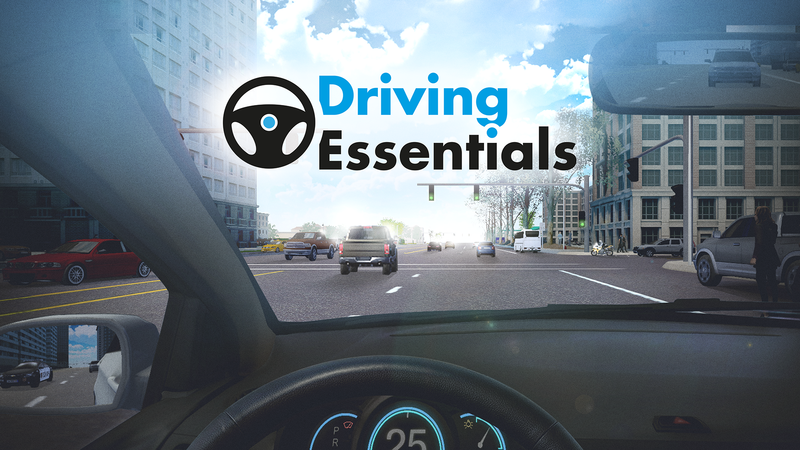 Driving Essentials provides a wide variety of roads and traffic scenarios, many of which would be too difficult or dangerous to train in a real car. The driver will experience city, highway, commercial, residential, and rural environments. In later lessons the driver will face the challenges of rain, snow and fog, as well as day and night scenarios. This is a fully interactive driving experience, not just classroom knowledge. You will be behind the wheel from the very first lesson. • Distracted driving- it shows you what can happen! Being a 16 year old, my son grew up gaming. He didn’t get the real life experience of driving a tractor or the old truck for dad like I did growing up. We didn’t have any gaming systems, in fact, my parents took away the TV for years also! He was very nervous the first few times behind the wheel. Then he downloaded Driving Essentials and started the lessons. His whole attitude towards driving has changed. He appreciated that the simulations brought him into the city to drive- we live in a rural area. He also mentioned that the different driving distractions and road conditions really gave him something to think about. If he made a mistake, it wasn’t going to be a fatal one as it was just a simulation. Overall, he has learned a lot about driving- especially those little things that we forget to teach him. It is very scary when your child- well teenager, starts driving. I was the one who took him out the first 5 or 6 times and I was proud of how fast he learned. He was still nervous about other cars coming, driving over 40 mph and different road conditions. Driving Essentials XE tackles these issues (over a 10 lesson course) and helped to change his attitude towards driving and foster better judgment. I could tell the difference in his driving after he did the tutorial and first 3 lessons. He started asking questions that I hadn’t thought about teaching him. After driving for over 30 years, it’s hard to remember every little thing you learned. One of the best parts of Driving Essentials XE is actually playing it with your teen. For my son, the Xbox controls are second nature- he knows what all the controls do. For me, it was like learning a foreign language in 5 minutes. He got the biggest kick out of me crashing the first 3 times I tried to do lesson 1. We laughed so hard we almost cried. Then I gave up and let him show me how it was done. I am thrilled with Driving Essentials XE! I love that it teaches our teens about driving in hazardous conditions without leaving the safety of our home. If they become better drivers before they get their license, it gives us peace of mind that they can handle the road on their own after they get their license. In 2004, Bob Davis founded Virtual Driver Interactive, Inc. with an inspiration arriving from avoiding an obstacle in the road. At that moment, Bob had the realization that video game technology could be used for something more important than entertainment – driver safety. Since then tens of thousands have been able to practice their driving skills in dangerous situations without actually being in danger. Bob held executive officer positions in Sprint, iBEAM Broadcasting, Premenos Corporation and Bellsouth. Be sure to follow Driving Essentials on Social Media to keep up with updates! Purchase your own Driving Essentials XE for Xbox HERE!